JEFFREY MEYER is Director of the Mount Pleasant (IA) Public Library. 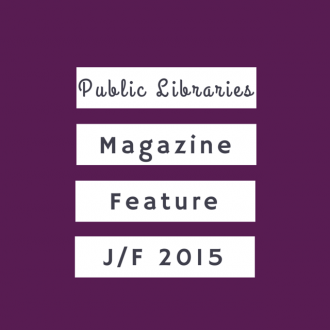 Contact Jeffrey at jeffreythelibrarian@gmail.com. Jeffrey is currently reading The Gamer’s Guide to Coding: Design, Code, Build, Play by Gordon McComb. Motherboards, CPUs, and RAM, oh my! In the twenty-first century, libraries are dependent on these easily confused or misidentified hardware components and terminologies. Modern information systems—ranging from library OPACs to electronic research databases—all require machines that have a motherboard beneath their shiny plastic hoods. Library skills, including Boolean searching and complex taxonomic classification, also rely on computer technology. Librarians regularly make expensive decisions about the hardware in their facilities, but it is easy to get tongue-tied by the acronyms and technical names for the hardware in these machines. A basic grasp of hardware components has the potential to greatly enhance our awareness of our information systems. Libraries can also save money by making informed technology decisions. It’s time we met our motherboards. The motherboard is the primary hardware component in a computer—all the computer’s hardware connects to it. Library science, in many ways, is akin to computer science. Libraries and computers share many things in common. Both store and archive large amounts of data. Both retrieve data and information. Both provide outlets for information transfer as well as cultural engagement. Both give people the opportunity to do research or pursue leisure activities. Both are integral to the education system. It’s no wonder that there are many computers in libraries and many libraries in computers. The motherboard is the full enchilada: the lettuce, the cheese, the beans, and the rice. The motherboard is the (usually green) table to which every piece of hardware, ranging from the mouse to the CPU, is connected. 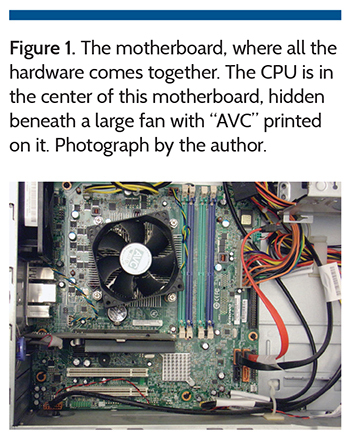 The motherboard is the big platter of circuits hiding beneath the computer’s facade (figure 1). It is Grand Central Station and O’Hare International Airport rolled into one—an electronic city of different components that all need to work and communicate together. This board is where all the computer’s hardware is installed, replaced, removed, or examined. It’s the brain of the computer, its wiring, and its circuitry. This brain is powered by electrons rather than blood. It processes input and returns output. The motherboard is the closest thing humans have come to creating a nonbiological mind—an artificial intelligence. It might be the most complicated technology ever devised in world history, powering personal computers, mobile phones, medical systems, massive government databases, and metropolitan library networks. That these hardware components even work in the first place is amazing, and it is impossible to have a human society like ours without functioning motherboards. Motherboards make modern libraries possible. 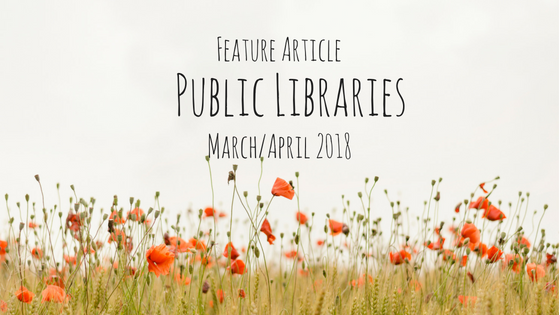 Every time a patron uses a keyboard, a student clicks on a hyperlink, a staff member purchases a book, a cataloger creates a new MARC record, or a librarian searches the OPAC, the hardware components attached to the motherboard process and execute commands. Library OPAC systems are stored on server hard drives; computer programs like word processors require RAM to operate; and wireless systems require network cards to function. While it is easy to think of the internet as an amorphous, ethereal “cloud,” it is in fact a gigantic, global network of cables and hard drives, all of which require motherboard systems to operate and interact with each other. The twenty-first century is in full swing, and motherboards are the beehive of information activity in this age. Librarians don’t need to be computer technicians, but we should be familiar with motherboards and their associated hardware. Computers don’t run on magic: they are an amalgamation of hardware components connected to a motherboard. An important, real-life, practical application of this information is to understand that when one component fails, the whole computer is not necessarily broken. You don’t need to toss a computer just because the RAM or the sound card is faulty. The motherboard might be fine, but one of the components (like RAM) needs to be replaced. Likewise, a dead hard drive does not mean a dead computer. This knowledge can save a library hundreds or even thousands of dollars in replacement costs each year. The safest way to look at the innards of a computer is to just read articles like this and leave the computer tinkering to IT. You won’t damage anything just reading about and looking at pictures of motherboards. Remember, motherboards have electricity moving along their components. Also, motherboards and their associated hardware are fragile. Any physical damage to a motherboard can destroy the hardware. Computers should only be opened by certified technicians. So today we will go on a safe, paper tour of the motherboard. No disassembly required! Electrostatic discharge (ESD) can be a hardware killer. ESD is that wonderful jolt you get when you walk across a carpet in a dry environment and then touch the doorknob. This little jolt can damage motherboard components. Technicians only open a computer after nullifying the ESD factor. The motherboard at first can look overwhelming. Many cables snake around, and many cards jut out from the main board. It is a tangled jungle of slots, ports, and circuits, but we will break down the basic components. We will start the tour with the scariest piece of equipment on the motherboard, the power supply unit (PSU). This component, as you can imagine, handles the electricity. It deserves respect, and it should never be tinkered with. Let’s start with the most important component of the motherboard: the power supply. The power supply unit (PSU) is what gives the motherboard electricity. The computer’s power cable, the plug sticking into the wall outlet, feeds electricity into the PSU. The PSU is a big box that converts alternating current (AC) into direct current (DC). It gives power to all the computer’s components. If the motherboard is the computer’s brain, the PSU is the spinal cord. If all this electricity talk makes you nervous, you’re experiencing the correct emotion. Don’t mess with the power supply. The warning stickers on the PSU are not there for decoration—PSUs are not meant to be opened. If you ever hear a popping sound followed by the sight or smell of smoke, your PSU has died. Consider a machine with a bad power supply a hazard. A certified technician can replace the PSU, or you can dispose of the whole machine. Do not give this damaged computer to a second-hand store—you don’t want somebody else plugging a bad computer into their wall outlet. Now that we’ve got the scary part over with, let’s move on to the computer’s hippocampus. This is the central processing unit (CPU). The CPU and the motherboard are often confused. However, the CPU is one component on the motherboard. The famous Intel processor is an example of a CPU. Advanced Micro Devices (AMD) also makes processors. The CPU is the basic processing center of the electronic brain. It is where data is churned and instructions are sent out to the various machine components. It makes the computer tick. It puts the “compute” in “computer.” CPUs process incredible amounts of data. They process so much information that they get physically hot, which is why your computer has fans. It is often easy to identify the CPU on a motherboard because it has a giant heatsink and a fan on top of it. The heatsink has many prongs jutting upward from it, drawing heat away from the processor. If the CPU overheats, the computer can restart or freeze. Ironically, we say the computer “freezes” when it actually overheats. A CPU heat issue might be the cause of a spontaneously self-rebooting computer. Perhaps a fan is not working or there is dust in the machine. CPUs can be replaced; you just need to verify that you get a model that fits your motherboard. Installation can be tricky, so leave it to the certified technicians. Let’s move on to the computer’s short-term memory, the RAM. 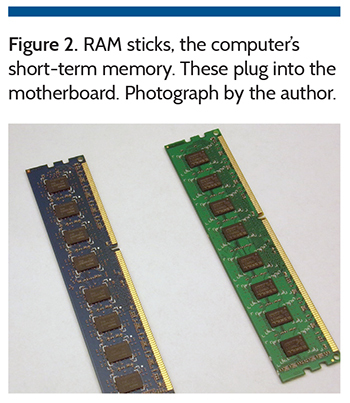 RAM (random-access memory) is oftentimes what people mean when they say “memory.” In most modern machines, RAM comes in sticks, and these sticks plug into the motherboard (figure 2). RAM processes what the computer is currently handling. For instance, if you turn on your browser, then open a Microsoft Word document, and then open solitaire, RAM juggles all these processes. The more programs you run, the more you strain the RAM, and the slower your computer gets. performance; just make sure you have the right RAM type for your motherboard before you try to install it. Some acronyms you will see associated with RAM are DDR (double data rate) and DIMM (dual inline memory module). Laptops use SO-DIMM (small outline dual inline memory module). As of this writing, DDR4 is the cutting edge of RAM, faster than DDR3 and DDR2. It will only get faster. A RAM issue is very fixable. Faulty RAM sticks can be replaced, and overtaxed RAM can be reinforced with additional RAM sticks. If a computer won’t boot, but you hear beeping sounds, this might indicate a RAM issue. Replacing or adding RAM sticks is far cheaper than replacing the whole machine. 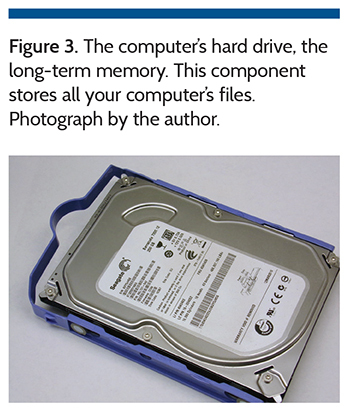 The hard drive is the computer’s long-term memory. It’s the part of the computer’s brain that remembers things that happened a long time ago. When you open a file on a computer, it is drawn from the hard drive. Hard drives have finite space, and the space capacity depends on the type of drive you have. If the hard drive crashes (and it can), you can lose the data on the drive. Two files on the same hard drive do not count as a backup—if the hard drive dies, both files on this same drive are caput. Back up your important data either onto another hard drive, a USB disk, or put it on the cloud by emailing such documents to your own Gmail or Yahoo account. Two main hard drive types are available. A hard disk drive (HDD) is hard drive that, beneath its black and silver facade, houses an arm to read data off and write data onto a platter (figure 3). Its internal structure looks like a record player, with an arm swinging around to gather or write data. A solid-state drive (SSD) does not use a platter. It has no moving parts, which makes it faster and quieter, not to mention more expensive. Desktops often use an HDD, while USB thumb drives and tablets use an SSD. Many motherboards can support multiple hard drives that can either be used to expand the storage capabilities of the machine or provide redundancy in case one of the drives crashes. When multiple hard drives are formatted and configured to work together to either improve data retrieval speed or data redundancy, it is called RAID (redundant array of independent disks). The hard drive, like all other computer components, is plugged into the motherboard. The hard drive’s size and shape can look very similar to the DVD drive. An easy way to tell the difference between these two drives is to simply check which drive has a DVD disc tray interface facing outward. Now that we have the basic elements of the computer brain—the spinal cord PSU, the hippocampus CPU, and our short-term and long-term memory components, we can talk about the exciting things all this hardware creates: the sights, the sounds, and the interactions that make computers different than other data creation and retrieval systems. Let’s turn to the optic nerve, the video card. Really slick graphics require powerful memory. You might notice that your computer slows or lags when intense graphics display on the monitor. A powerful video card can be plugged into the motherboard to greatly enhance a machine’s graphics performance. These video cards contain their own RAM and processors to handle the graphics. Like a CPU, video cards need a fan to cool down. The video card communicates with the monitor. The monitor needs two cables to operate: a power cable connected to a wall outlet and a cable connected to the computer’s video card. The monitor connects to the video card with a blue VGA connector, DVI connector, or other connector. It can speak! A sound card manufactures sound. When you plug speakers or a microphone into a PC tower or the side of a tablet, you are connecting to the computer’s sound card. Sound card connecting ports are often shaped like rings; the pink ring is for microphones, the green ring is for speakers. Like video cards, computers today are often shipped with sound cards that are perfectly adequate. If your tablet’s maximum volume isn’t strong enough, you can enhance the sound output without replacing the sound card—just buy some speakers that you can plug into the computer. The NIC (network interface card) has become incredibly important in today’s machines. When an Ethernet cable is plugged into a computer, it sticks into the NIC. Computers connect to wireless networks through a radio antenna attached to the NIC. If the motherboard does not have a NIC attached to it, the computer will not be able to connect to the internet. Fortunately, it is relatively cheap and easy to install an external wireless NIC into an old computer that does not already have wireless hardware. If your laptop is not connecting to wireless internet, make sure the wireless radio has not been disabled. It is possible to accidentally disable the wireless antenna on a laptop because it can be done with a simple keystroke. Check the keyboard to make sure the wireless function key is activated. Diagnosis is important because it can save libraries thousands of dollars in unnecessary machine purchases and replacements, but you don’t have to perform computer surgery to diagnose a hardware problem. Many libraries have an IT person on staff who can do all of the hardware diagnostics. For libraries that do not have in-house IT, deciding if it is better (or cheaper!) to repair or to buy a new computer can be difficult. Libraries with limited funds for new machines are easily trapped in tight spots by technology problems. Remember, the computer is a collection of hardware devices attached to a motherboard. The whole machine is not necessarily dead just because a piece of hardware isn’t working. A new hard drive can replace a bad one; RAM can be added to a motherboard to speed up a slow computer; a broken monitor is not a broken computer. The following are some troubleshooting tips that can save libraries serious money. Issue #1: There is a clicking sound coming from the computer. This is likely caused by a failing hard drive. Back up all of your important files onto a USB or network drive. Then you can swap out the bad hard drive for a new one. New hard drives need to be partitioned and formatted, so have a technician install the equipment. Issue #2: “No Boot Device Present.” This can be a scary message. It appears when the computer boots. Operating systems (e.g., Microsoft Windows), like other programs, load from the hard drive. This error message means that either the hard drive storing the operating system has failed or a cable connecting the hard drive to the motherboard somehow became dislodged. Again, the issue here is the hard drive, not the whole computer. Issue #3: A really, really slow computer. Many things can cause a slow computer. For example, malware can kill a computer’s performance. But if your anti-malware software is showing no problems, or if you have a brand new computer that is just slow, you might need to increase the RAM on the motherboard. Have a technician confirm that the computer is suffering from low RAM. Ordering a few RAM sticks is far cheaper than buying a new computer. Issue #4: A computer is randomly rebooting. Is this computer restarting frequently on hot days or when the air conditioning isn’t working? Is the computer near a heat vent? Do you see a lot of dust accumulating on the computer’s fan outlet? A spontaneously restarting computer may be the result of a poorly ventilated or overheating machine. Ask a certified technician if the machine might need to be cleaned. Canned air can be very useful for dusting computers. Just know that canned air isn’t “just air.” The bottle lists many warnings, including warnings against shaking the can. The spray can damage skin and eyes, so never spray anything that’s not supposed to be sprayed. Like anything else involving electronics, have a certified technician handle it. Issue #5: The computer won’t turn on. No lights, no fan, no beeps. This sounds like a power problem. It might sound silly, but you’d be surprised how many times power cables come loose, especially in a public place like a library where many different people use the computer. Check if the power cable is securely connected to the wall outlet and the computer. Issue #6: The screen is blank. Check if the computer is plugged in. Are there lights lit on the computer or do you hear a fan spinning? 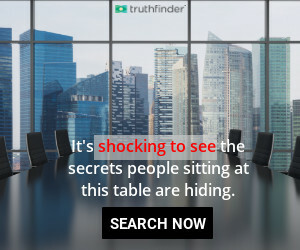 If so, the computer has power, and the issue might be the monitor. Make sure the monitor is plugged into the power outlet and the monitor’s video cable is connected to the computer tower. If the monitor is connected, you might need to adjust the monitor’s settings using the buttons or knobs on the monitor itself. Computers are an amalgamation of hardware devices connected to a motherboard. The motherboard is the brain of the computer, connecting the processor to the memory. The motherboard incorporates video cards, network interface cards, and sound cards to create an interactive experience. Likewise, the mouse and keyboard are snapped into the motherboard. These information-processing machines power our modern information systems and enhance modern library services. A librarian empowered with knowledge of the motherboard system has an extra digital edge, a technical skill set for the twenty-first century. Many manuals exist for hardware repair. For example, Mike Meyers’s CompTIA A+ Certification All-in-One Exam Guide, 9th ed. (McGraw-Hill, 2016) provides technicians and nontechnicians with an easy-to-read manual that acts as a computer encyclopedia. It also prepares readers for the CompTIA A+ computer certification exam. Just remember that computer manuals get outdated at the same pace as their hardware subjects, so make sure you have a recent edition of your favorite manual. Librarians can be empowered with computer knowledge. Let’s embrace the twenty-first century and become open to the amazing opportunities of the electronic world.